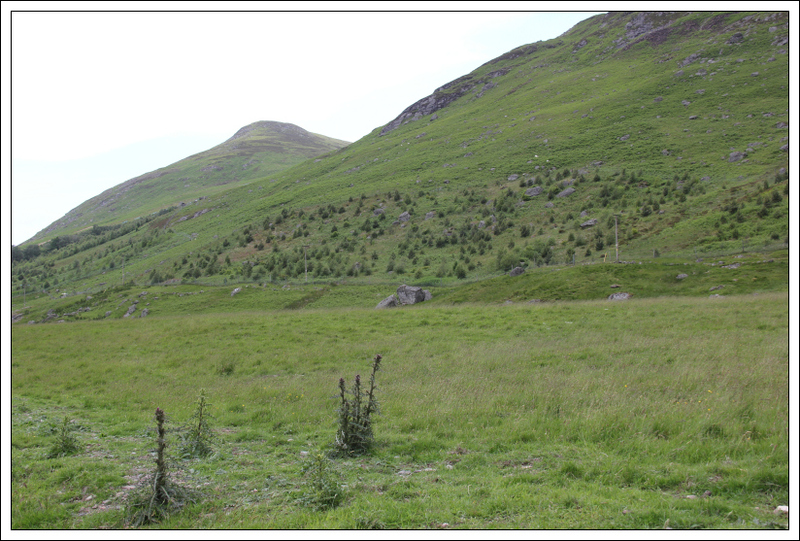 On Friday morning I set out from home, destination the Sma’ Glen, for an ascent of one of my closest-to-home unclimbed Grahams – Beinn na Gainimh. I parked just off the A822 beyond Newton Bridge where there is room for several cars. 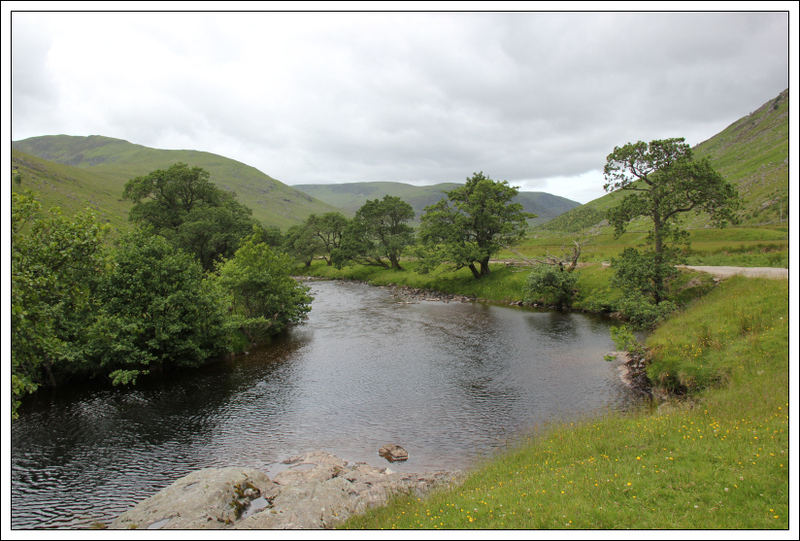 After a quick photo of the River Almond from Newton Bridge, I set off walking along the excellent Glen Almond track. 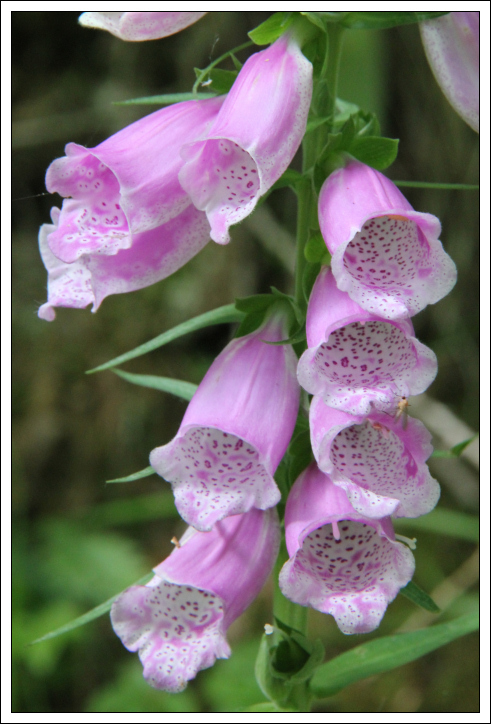 I took my time walking through the glen, enjoying the views, listening to the birds, looking out for flora and fauna and doing a fair bit of thinking. 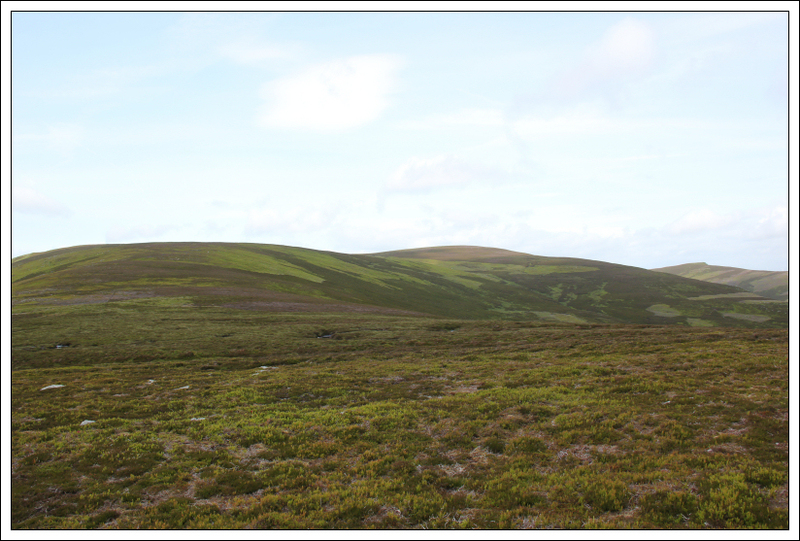 This was my first hillwalk since the incident in Drumochter where Beinn collapsed on the hill. 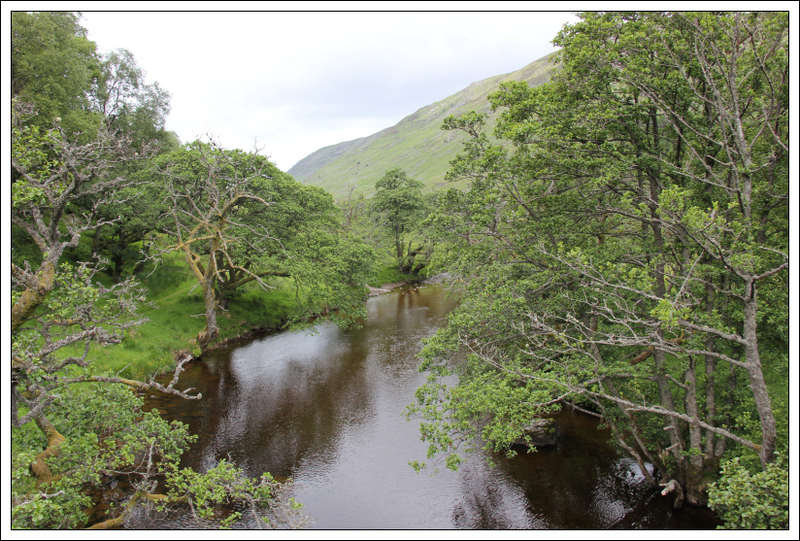 As I walked through Glen Almond, I felt a strong mix of emotions. 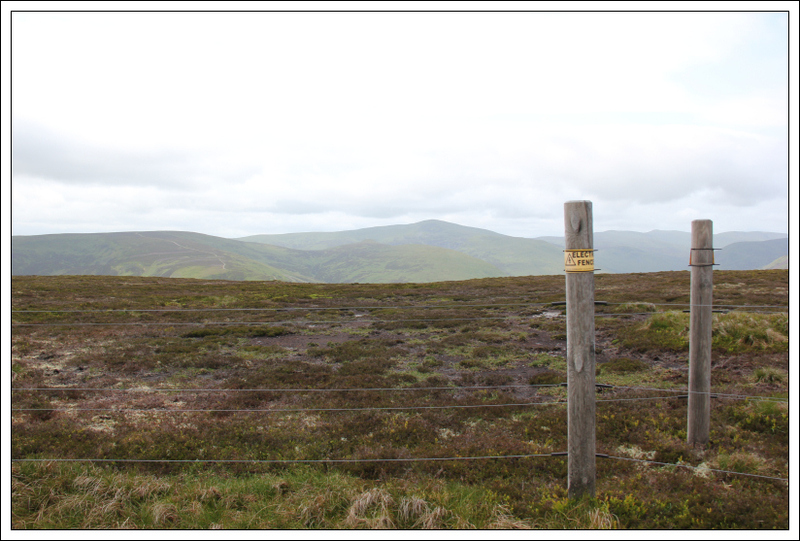 On reaching the track junction, leading up towards Beinn na Gainimh, I was faced with high fencing with Health and Safety signage basically advising do not proceed beyond this point. I was in no doubt that H&S could GTF. 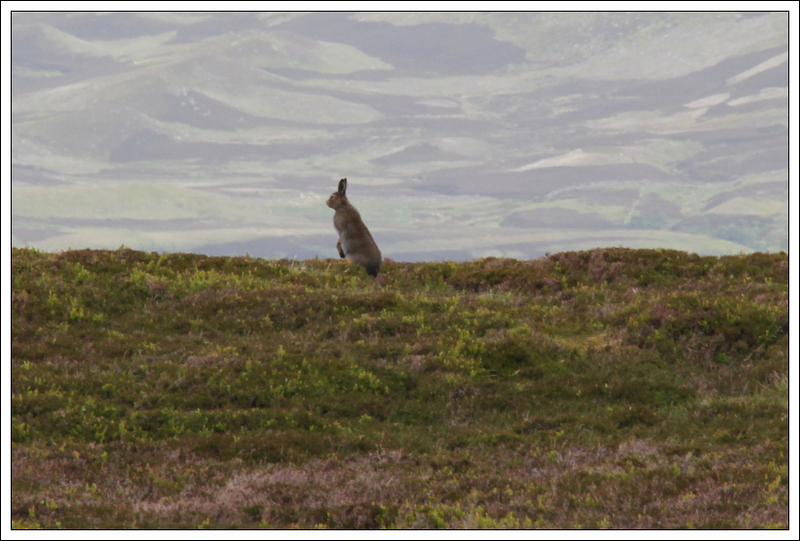 I chose to ignore the signage continuing up the track towards Beinn na Gainimh. 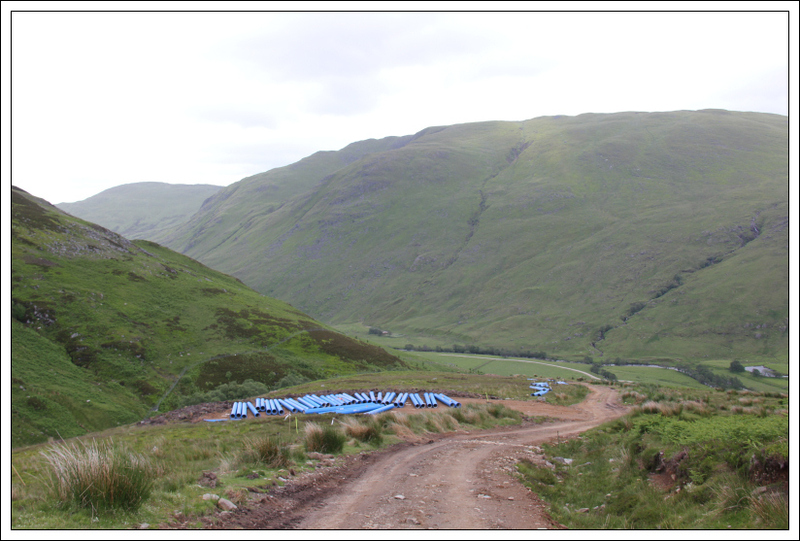 During the ascent, I passed numerous large blue pipes which would appear to be for a small hydro scheme being constructed at the Henzie Burn. A short distance from the track high-point, I took to the hillside. 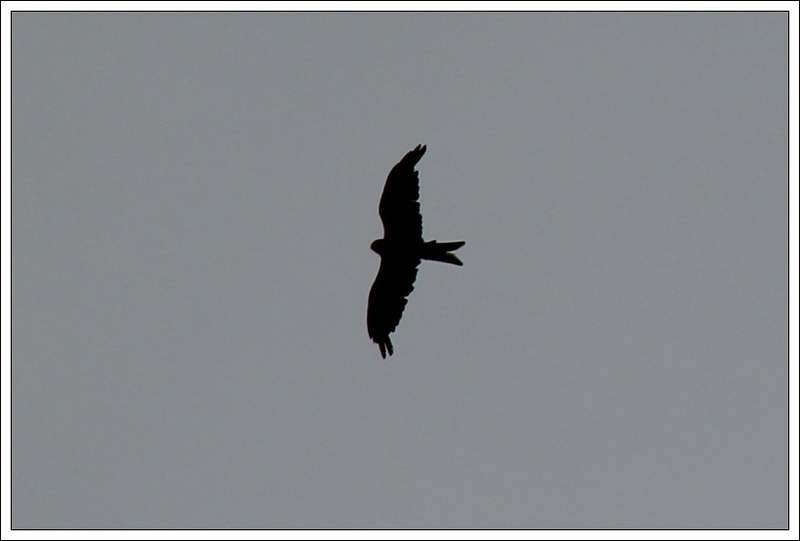 On looking up I was surprised to see three Red Kites circling high above - easily identified because of their distinctive forked tail. 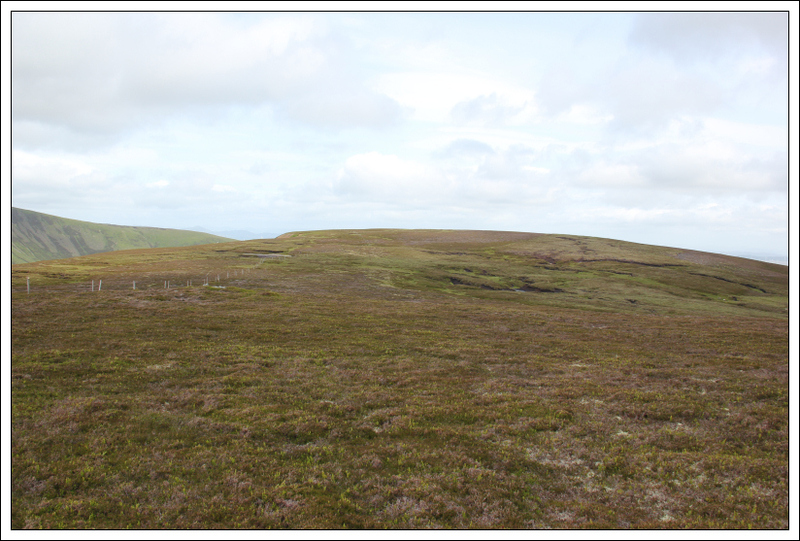 It didn’t take long to reach the 655m top from which I continued on towards Sron Bealaidh and Beinn na Gainimh. 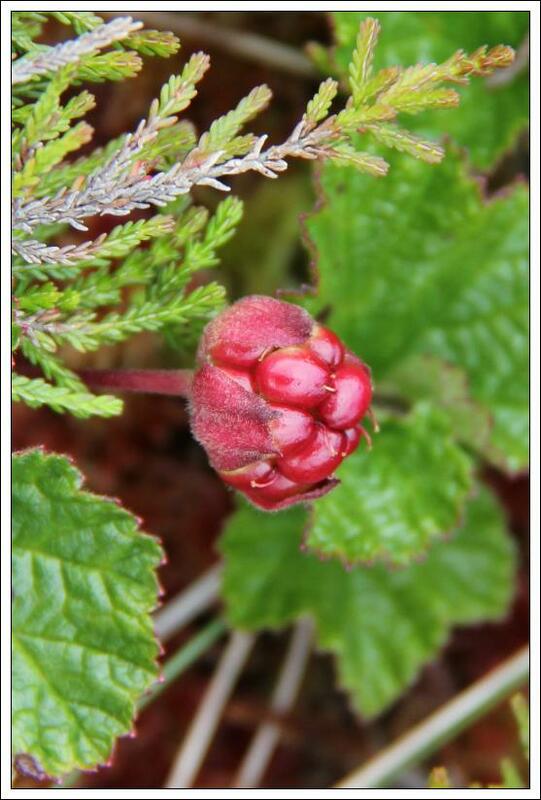 Between the 655m top and Sron Bealaidh there was lots of Cloudberry. 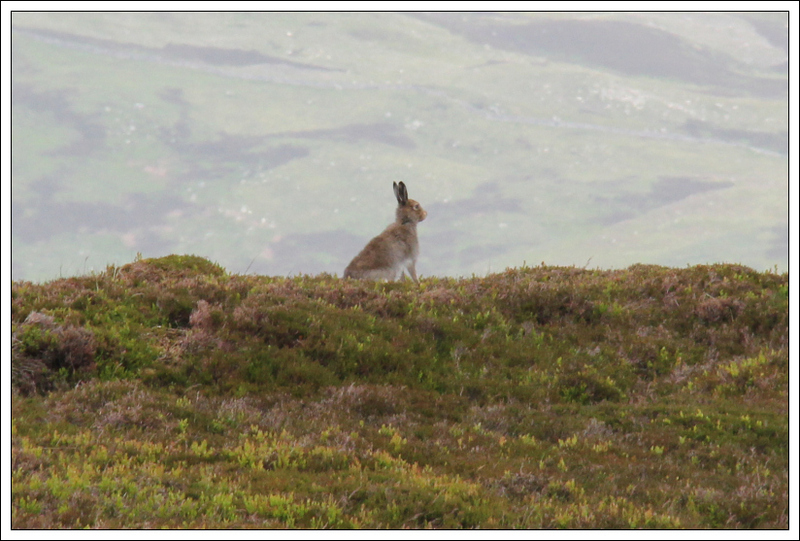 There were also a good number of Mountain Hares. 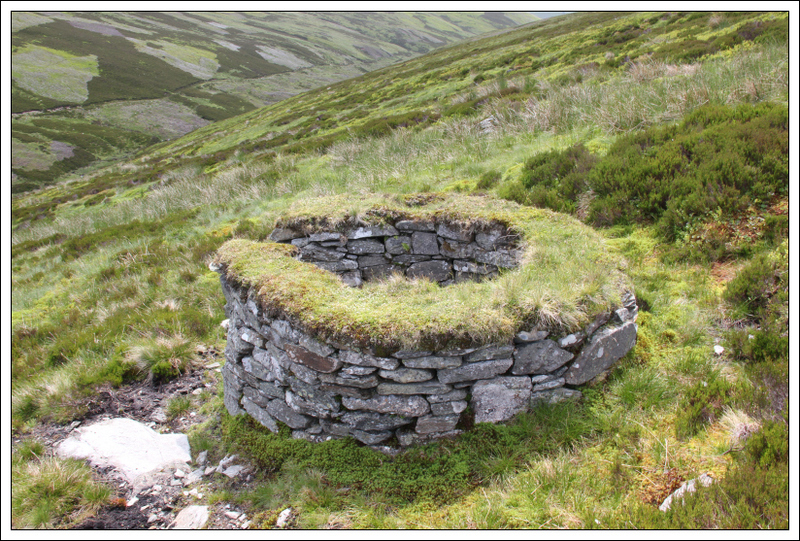 On reaching the summit, I visited the cairn and several other potential high points. 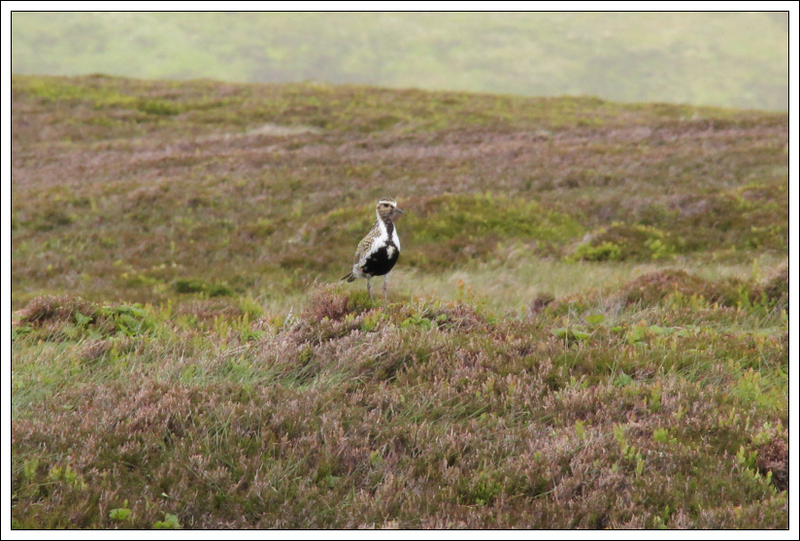 While standing at the summit, I took photos of a couple of Mountain Hares and a Golden Plover. 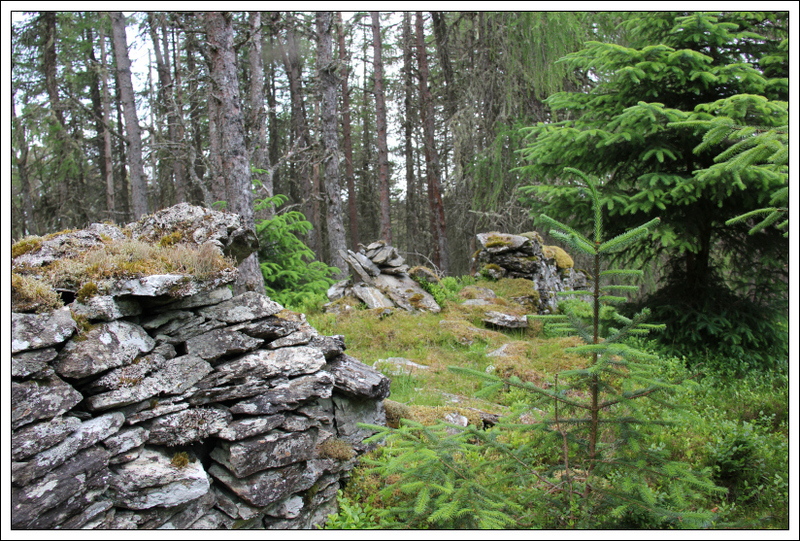 As I started to make my way back, I spotted a fairly large cairn on the hillside. 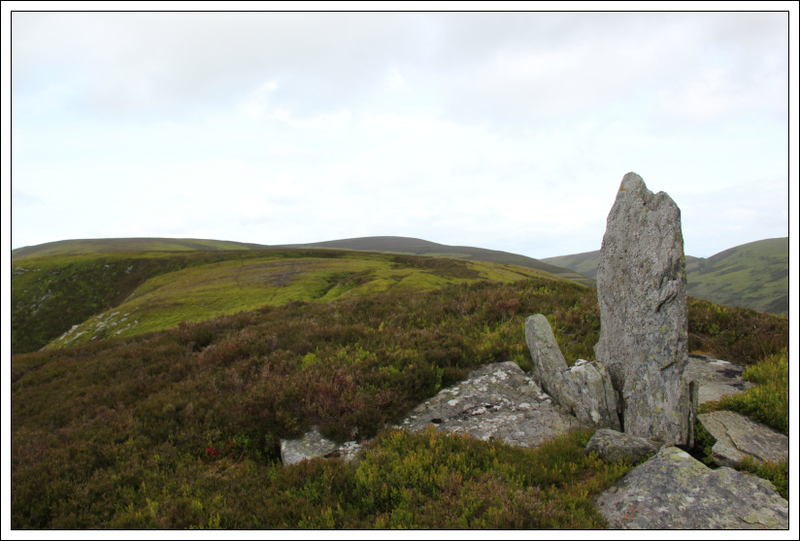 Out of curiosity I went over for a look as a large cairn often signifies a good viewpoint. 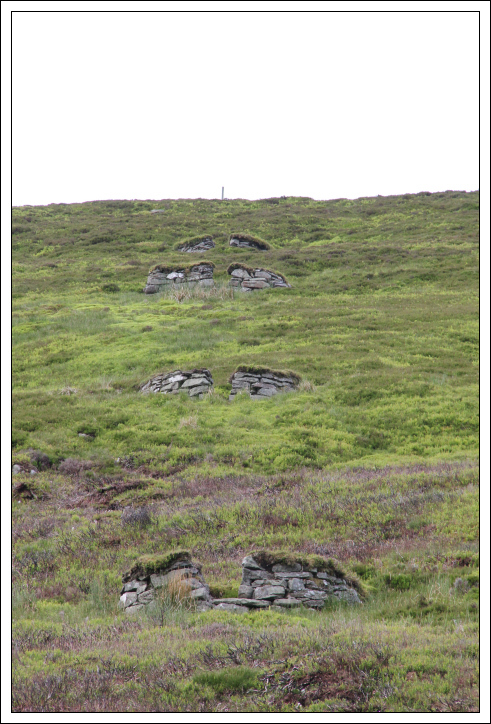 The large cairn marked the top of a line of ten grouse butts. 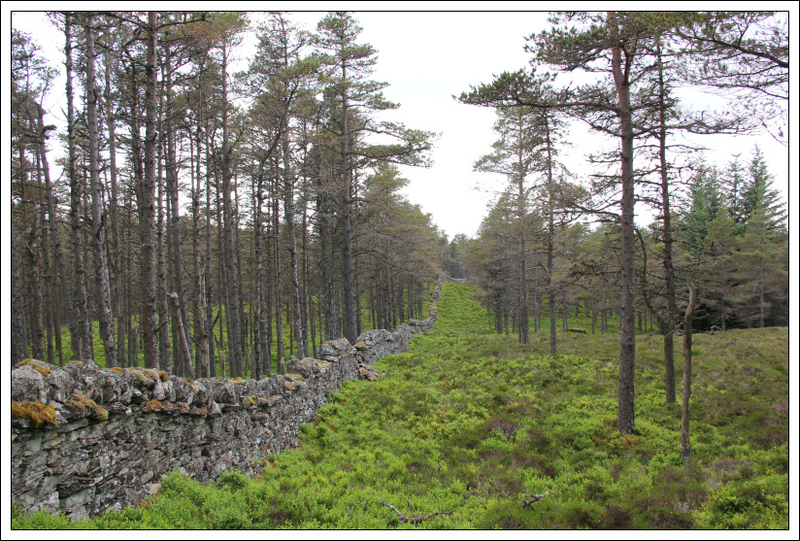 I descended alongside the grouse butts to reach the start of the track alongside the Kenzie burn. 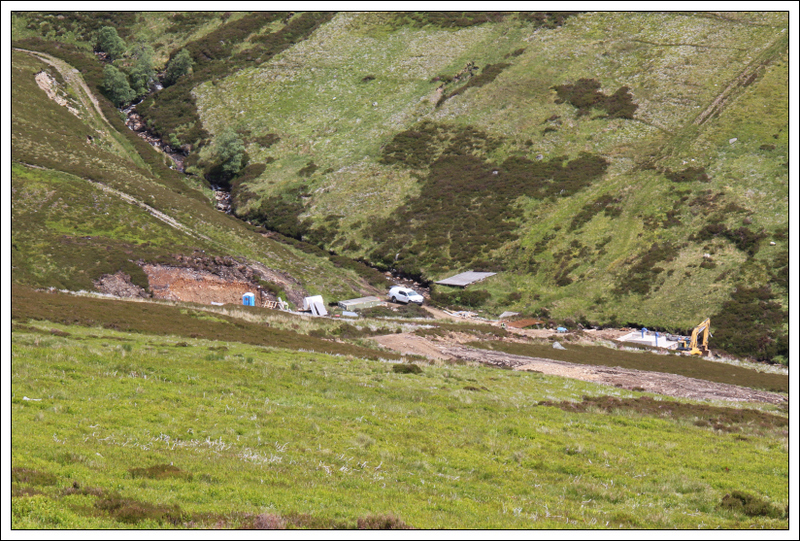 On reaching the Kenzie burn track, I followed the track out to the track junction where the Hydro scheme was being constructed. 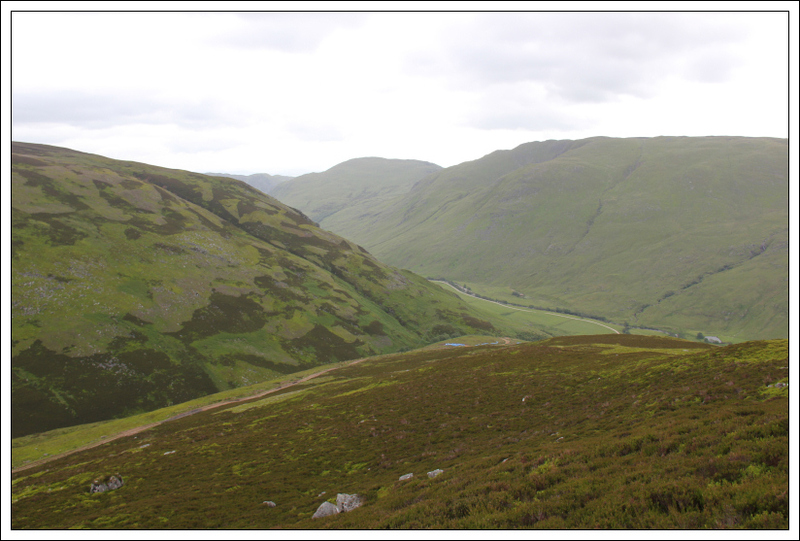 Beyond the Hydro scheme, I had to re-ascend almost 100m before getting back onto the track leading down to Glen Almond. 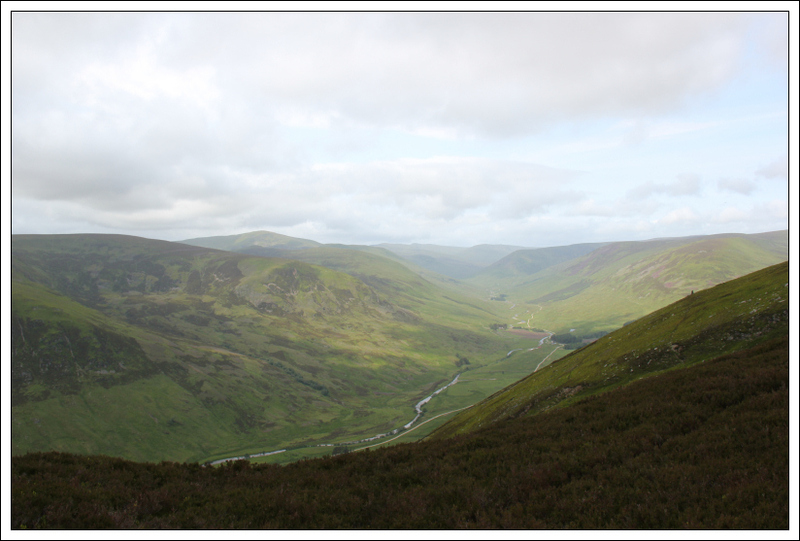 The walk out along Glen Almond was also pleasant. 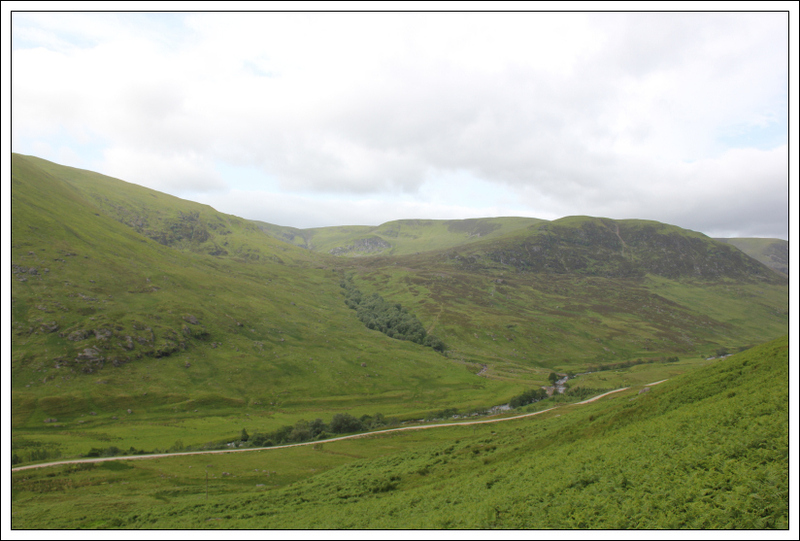 During the walk back along Glen Almond, I decided that I would head next for Loch Tay for an ascent of Drummond Hill. I programmed the starting point for Drummond Hill into my SatNav and let it lead the way. 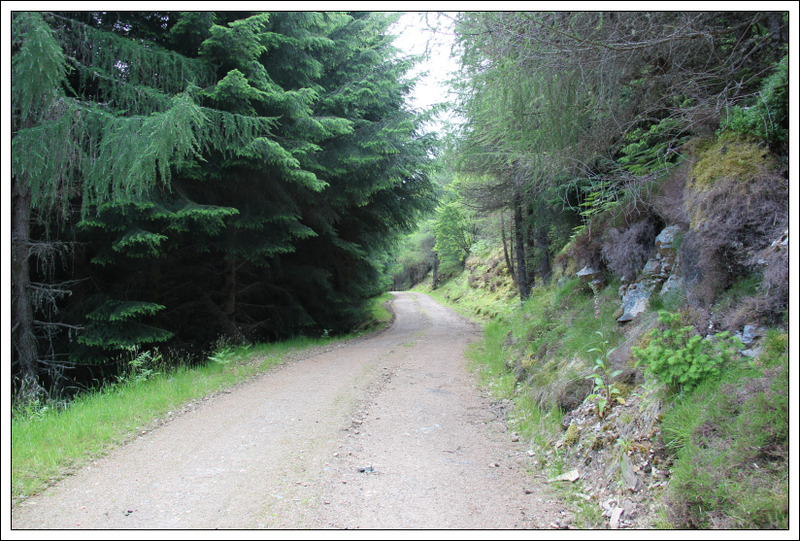 The SatNav took me along a minor road from Amulree to Kenmore – a really “interesting” road . 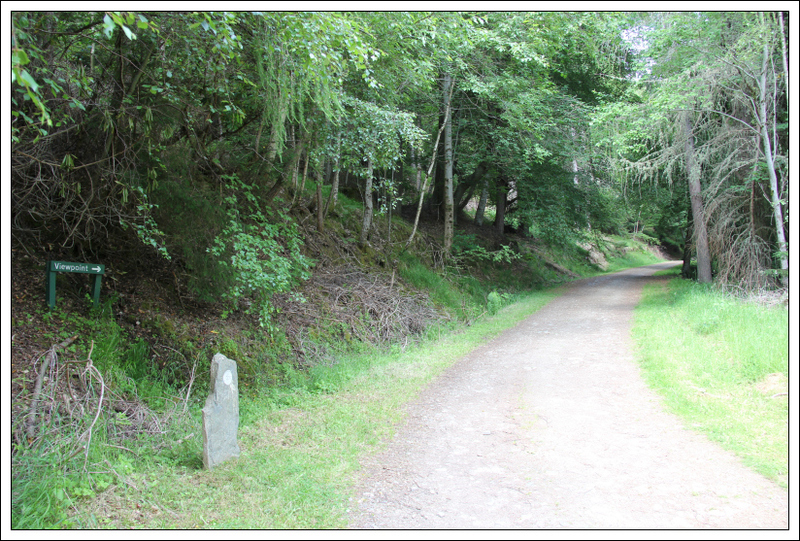 On reaching Loch Tay, I parked in the large car park for Drummond Hill. 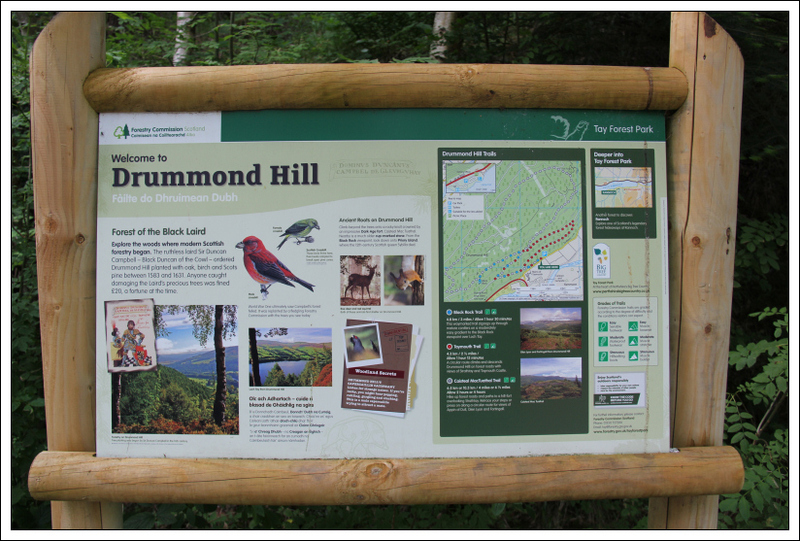 The ascent of Drummond Hill started off fairly pleasant apart from a handful of flies which were flying about my head. Drummond Hill is completely covered in trees, so there are no views whatsoever except of the surrounding trees. 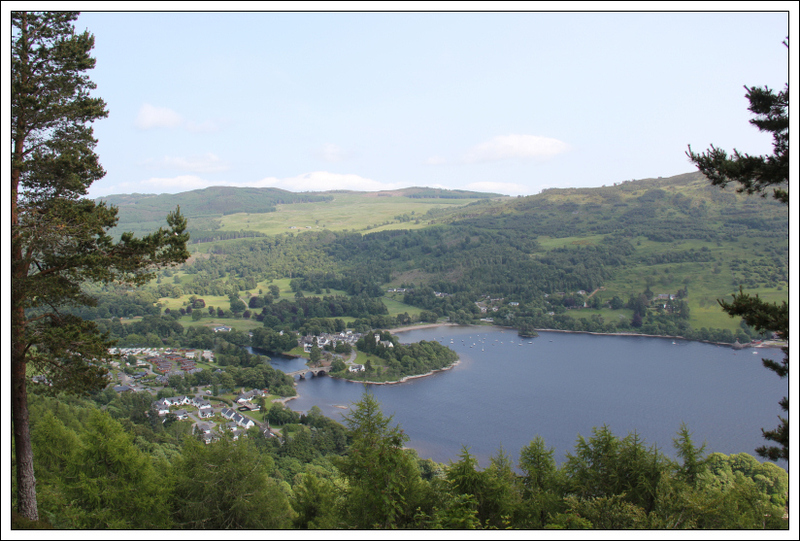 The only exception to no views was from the Black Rock viewpoint which provided a nice view looking down to Kenmore and the end of Loch Tay. On reaching the upper track, I checked Viewranger on my phone to confirm that I was where I was expecting to be. Viewranger claimed that I was off-route!!! I therefore started back-tracking to find the “correct” route. After back-tracking a few hundred metres, Viewranger lost satellite reception altogether - I was apparently now standing in the middle of Loch Tay. It turns out that I was originally on the correct route and that Viewranger was wrong owing to poor satellite reception. I should have trusted my paper map navigation. 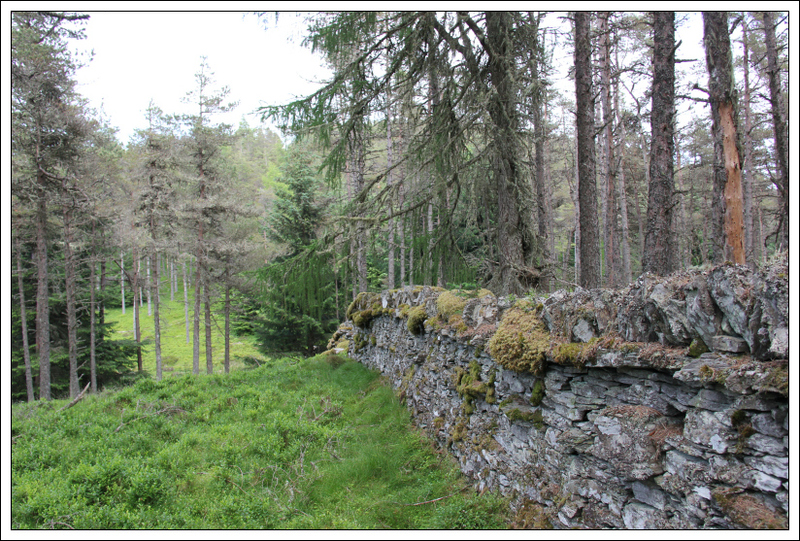 On reaching about half-way between the two tops of the hill, I left the track and headed uphill through the trees to reach the start of a dry-stane dyke. 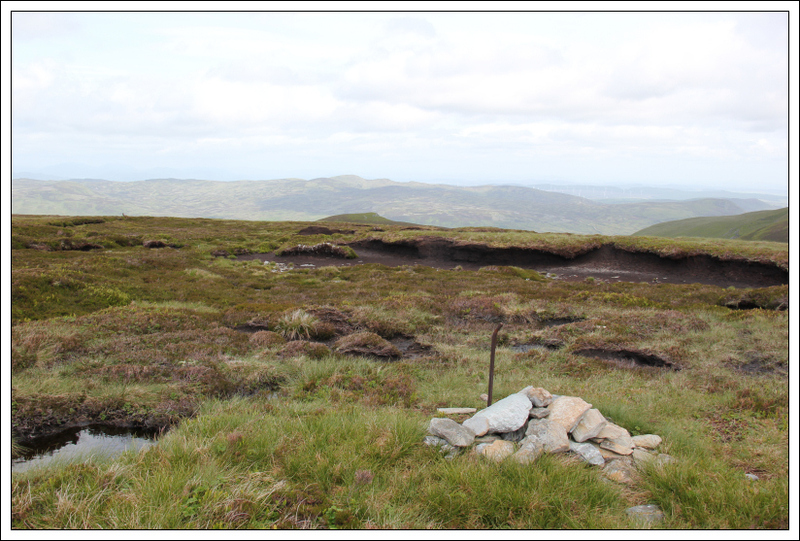 I then followed the dyke along to the summit. The walk alongside the dyke was really unpleasant. I was literally confronted with hundreds of flies swarming around my head. Midge net was essential. It was nice to reach the summit and then get back down away from all the flies as quickly as possible. I would not recommend doing this hill on a hot summer day.